DIESEL POWER. COMFORT FOR 6. 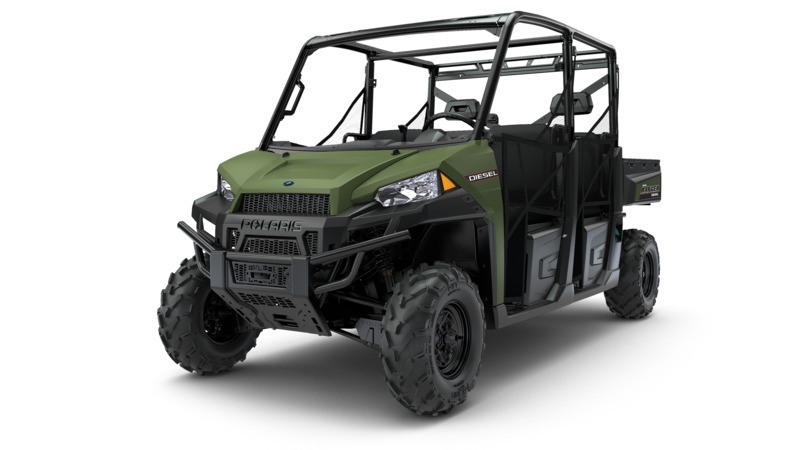 The Ranger® Diesel delivers legendary Ranger hardest working performance and smoothest riding comfort, powered by a 1,028 cc diesel Kohler engine. Tackle the toughest jobs with confidence and get more done around your home and property with durable, long lasting, low maintenance diesel power. LEGENDARY SMOOTHEST RIDE & HANDLING: Designed for 6-person all-day riding comfort. 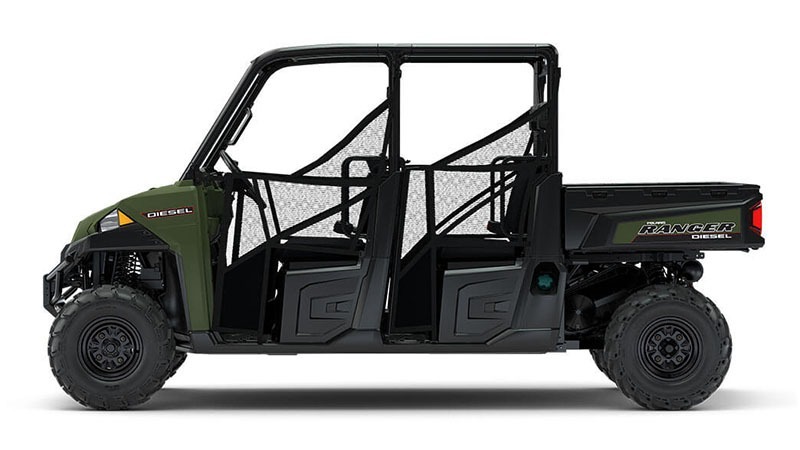 The Ranger Crew Diesel is designed for all-day off-road comfort, so you can ride longer, work harder, and bring enough hands for the big jobs. 10 in. up-front suspension travel and 10 in. independent rear suspension travel to keep the ride smooth. 11.3 in. of ground clearance to navigate the toughest terrain. 10 in. of tilt steering adjustment. Ideal seat height and wide foot clearance. 10 gal. diesel tank with driver’s side access for easy fill-ups. THE DIESEL POWER ADVANTAGE: 1,028 cc Kohler Crew Diesel engine. The Ranger Diesel is powered by a durable, heavy-duty, high-performance diesel engine, giving you the power and reliability you need to take on the biggest jobs. 3-cylinder, 1,028 cc Tier 4 compliant overhead cam liquid cooled Kohler engine. Indirect injection for reduced combustion noise. Massive 110 amps of alternator output for ultimate accessory integration. True On-Demand All Wheel Drive to give you the traction you need, when you need it. HAUL MORE. WORK HARDER. GET MORE DONE: Class-leading payload and towing capacity. 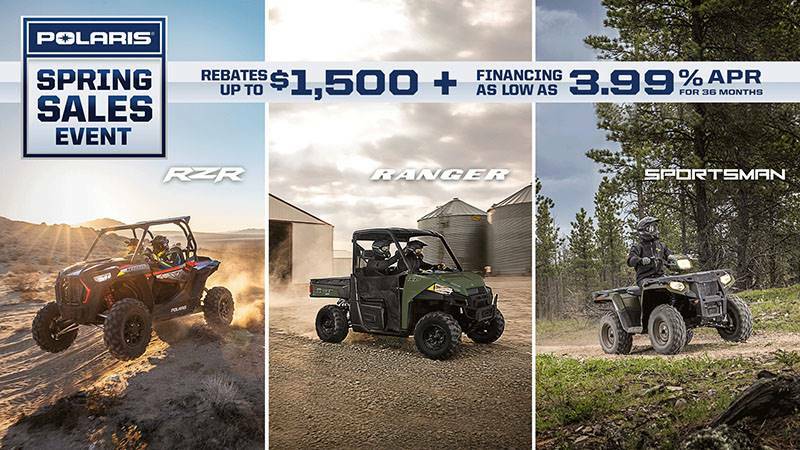 The Ranger Crew Diesel’s best-in-class payload and towing capacity sets the standard for hardest working diesel performance. You’ll be ready to tackle the toughest jobs with confidence and get more done in fewer trips. Massive, class-leading 2,000 lb. towing capacity. Best-in-class 1,500 lb. payload capacity. Standard 2 in. receiver hitch. Gas assist dump box with 1,000 lb. capacity and room for a full-size pallet. Convenient integrated storage options.